‘SO why would you want to talk to an adulteress and a murderer?” quipped my irrepressible friend, Gracie (not her real name), as she sat down for an interview. Gracie’s marriage to her college boyfriend Marty had been civilly annulled, but they still remain married in the eyes of God. Because she has just gotten engaged to another man, that makes her, technically, an adulteress. (Her ex had been seeing another woman while still married to her, and this, of course, was the cause of their separation.) And in the eyes of the Opus Dei and other fundamental Christians who believe that artificial contraceptives are “abortifacients,” Gracie can very well be dubbed as a murderer as well. She uses the pill, because she doesn’t relish the risk of being pregnant at her age of 46, especially after raising three grown children. I have known Gracie since college. We were classmates in certain subjects, were members of the Student Council, and wrote for the college paper. I liked her because she was smart and a steady hard worker—always a good partner for any school project—and was always just a pleasant person to talk to. Gracie graduated ahead of me and soon thereafter I heard she had gotten married to Marty. She had become pregnant, but they had been planning to get married anyway. So their wedding plans were just moved up a year earlier, she recounted. The union was blessed with three very smart children and for the 13 years that Gracie and Marty were together, “we were fine,” she said, until she discovered her husband was having an affair with a co-worker. Marty would often disappear to take his phone calls in private. Then Gracie would usually find the woman lazing around her husband’s workstation whenever she would drop by to visit. And he would also bring the woman home after long nights at the office. Then when Gracie started moving up quickly in her career, Marty started resenting it. “People always viewed him as the smarter one. He was the more driven one. He was the more ambitious one. But I was getting ahead in my career faster than he was. I didn’t know it actually bothered him. Ako pa ’yung walang ambisyon, ako pa ’yung nakakakuha ng magandang trabaho,” she narrated. Marty, for his part, just couldn’t seem to hold down a job, despite his two MBA degrees. Gracie said she eventually stopped talking about her work, because he would make snide comments, wondering why her career was taking off. Expectedly, their three children were devastated by the couple’s separation, and it bothered Gracie so much that she begged Marty to come home. She still wanted to work on her marriage. But he refused and he stayed at his parents’ home, while continuing on with his affair. Eventually, she had found out Marty had gotten his girlfriend pregnant as well. Because she wanted to save her marriage, Gracie filed a countersuit for a legal separation. “My initial plan was after filing that suit, I would file a case of alienation of affection against the girl,” because the latter had broken up the marriage. Gracie also wanted to file a case of concubinage but it would have cost so much money to pay for the surveillance that would prove Marty’s infidelity. For five years, Gracie had to go to Family Court and wait in line along with others who had cases there. “Meron mga juvenile delinquents na tinapon na ng mga magulang, tinutubos ng kapatid; mga madre na nag-aayos ng adoption papers ng mga bata, etc. Sabay-sabay ang hearing n’yo that day.” She said she dreaded going to court, not only because she would see Marty, but because “there were all these strangers listening to the muck and the lies he raised against me!” She found the system and the proceedings humiliating and undignified. Gracie even had to raise P2 million just to be able to pay off Marty for his share of their “dream house,” so that she and the children could stay there. “So ako na ’yung kinaliwa, ako na ’yung nag-alaga sa tatlong bata, ako na ’yung heartbroken, tapos lalabas ako pa ang magbibigay ng pera sa kanya! I got penalized for working hard and taking care of my career!” Aside from the P2 million she had to pay for Marty’s share of the house, the civil annulment had cost Gracie close to P500,000 (including the hiring of a private investigator which was how she found out Marty’s girlfriend was pregnant). She also had to pull out her two younger children from their Opus Dei schools because these institutions prohibited children of separated or annulled couples from being enrolled there. 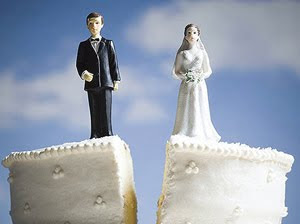 In other countries, she points out how divorce makes a couple’s separation a little more civil and dignified. In Australia for instance, there are state-sponsored mediation proceedings so divorcing couples can calmly discuss their demands just among themselves. The mediators are not lawyers, but parties with no interest in either of their spouses, so the discussions take on a less defensive tone. As we parted ways, I could only wish Gracie good luck that she gets her church annulment. Everyone deserves a second chance at love—and a lasting union with a better spouse.